To make the heart, I cut out a large heart from cardboard. Then I covered it with the hearts cards and hot glued the hearts to the cardboard. It looked a little lonely so I made a background for the heart using the backside of two different cards (one pack was from Michaels). 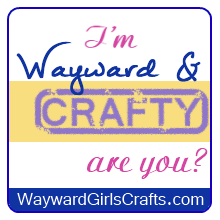 This was a great activity to do during Downton Abbey. We added balloons and lanterns to fill it more. My friend, Anne, made the banners. 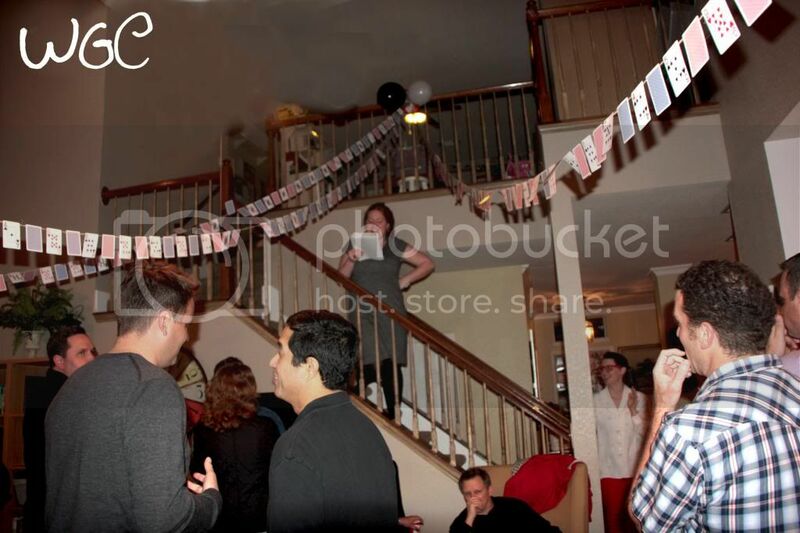 She simply hot glued cards to twine, but there were a lot of cards. She made three banners and strung them from her top banister to three different places on her curtain rod. Then we added balloons. And this centerpiece (it was a little smaller than I thought it'd be, but it was still cool). 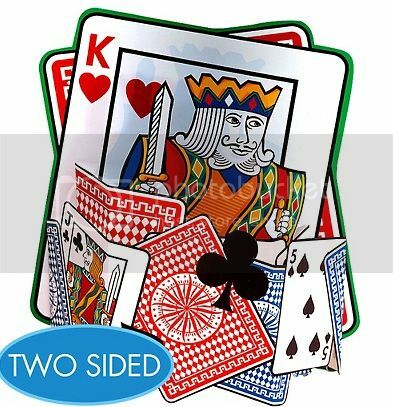 I also cut out spades, clubs, hearts and diamonds with my Silhouette Cameo and scattered them around the food table. 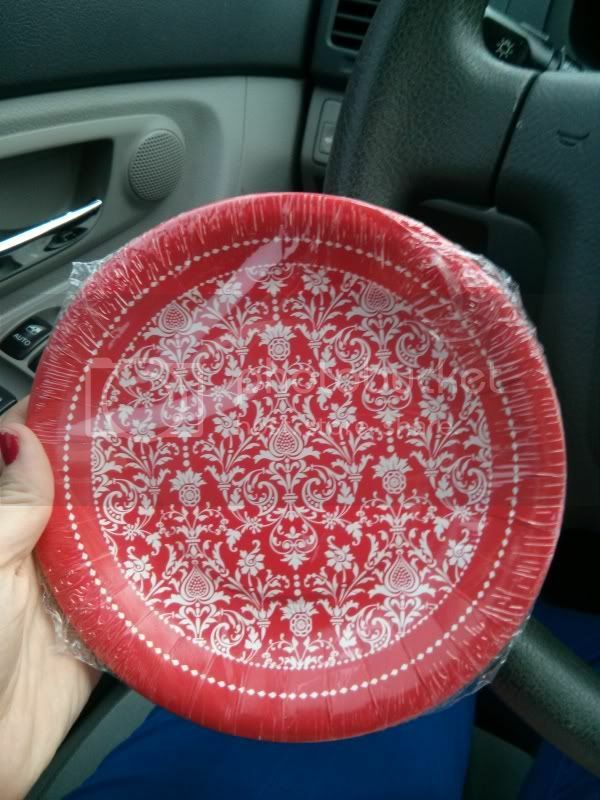 We used red chargers and silverware and got some fun plates and napkins from Tuesday Morning that reminded me of the back of playing cards. 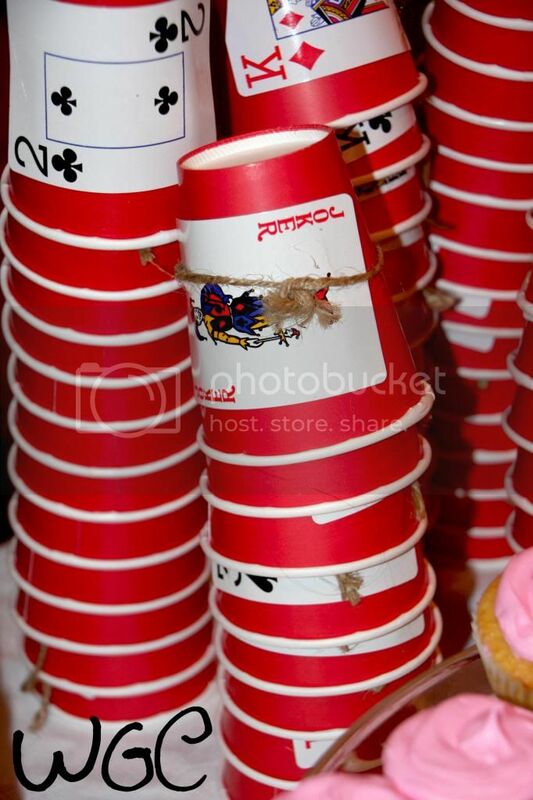 I decorated some cups for the party as well. 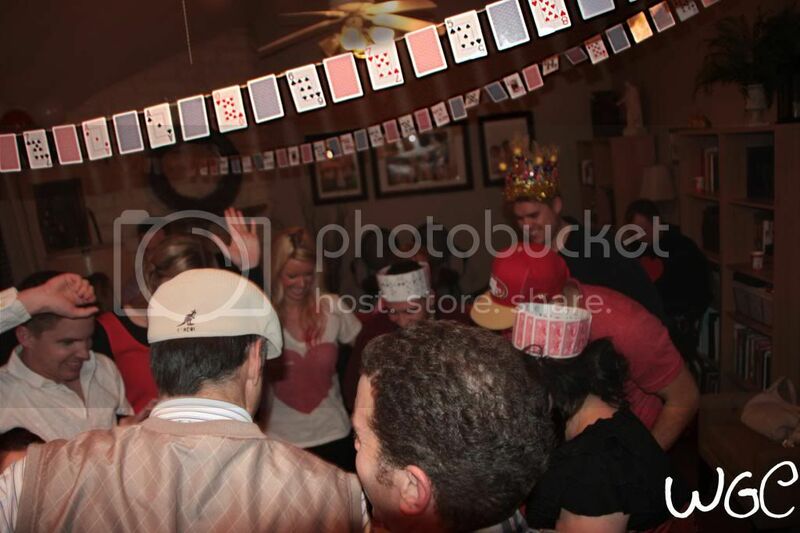 I purchase red cups from Dollar Tree and then hot glued playing cards on them. I finished the look off with a bit of twine. 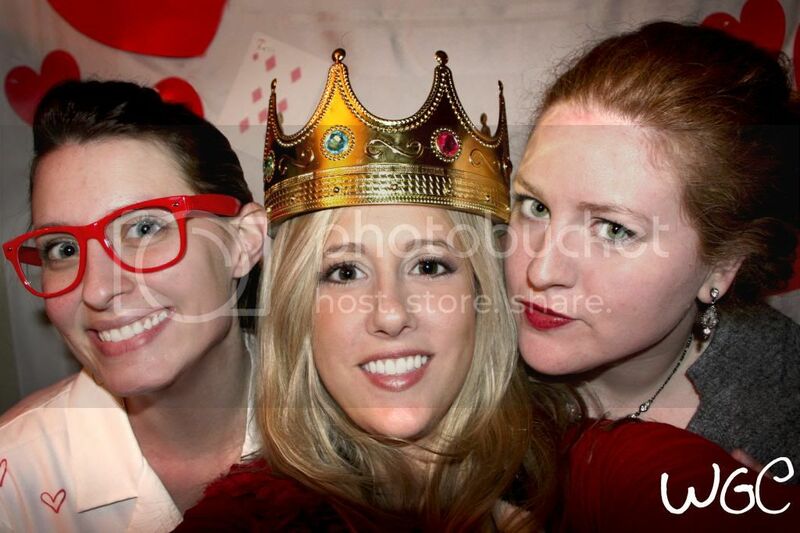 We also had a photo booth with some great props (thanks to Anne!). 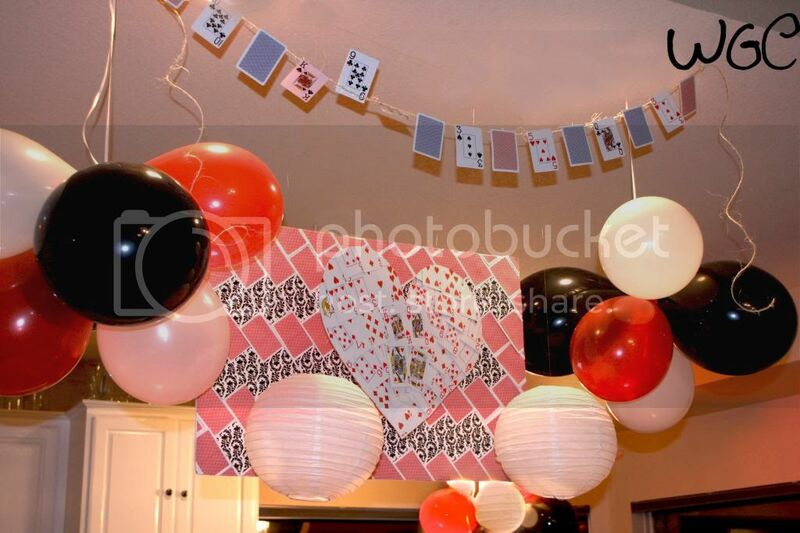 The large playing cards were a fun addition to the decor, something I used in Jasmine's engagement card. Another classic is the balloon chandelier used in above the dining room and kitchen tables. I really loved the impact of everything and I know what we'll be doing in the future! Thank you to my friends and co-hosts, Anne and Jessica, for all their hard, hard work! Great job ladies! I love all of the parties you throw. They look like so much fun. Everyone looks like they're having so much fun! What a great hostess you are and how fun it is to have great friends. 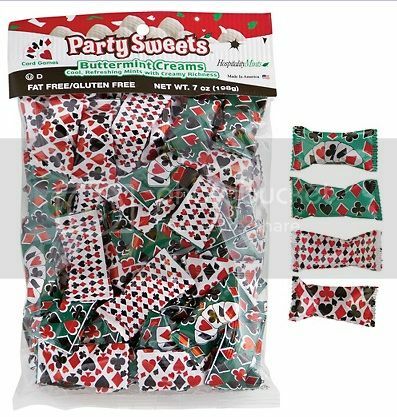 Celebrate Valentine's Day with Chocolate!